That’s the first thing Concordia Ski and Snowboarding club president Hannah Sourbeer asked me, pointing to their appropriately branded mini-fridge. Snow barely being an afterthought to many at this time of year won’t stop them from getting students on board with them. Starting right from Concordia’s early September club fair, the club continues to bring a party vibe, and they bring it hard. It’s no surprise the club’s members and execs are big on having a good time. ‘’When you’re in a city like Montreal, winter is such a big part of it that you have to learn to enjoy it, otherwise if you look at it negatively you’re just going to hate it here,’’ she continued. Sourbeer, Ladd, and Chanut all agree that the foremost objective of the club is fun and inclusivity. 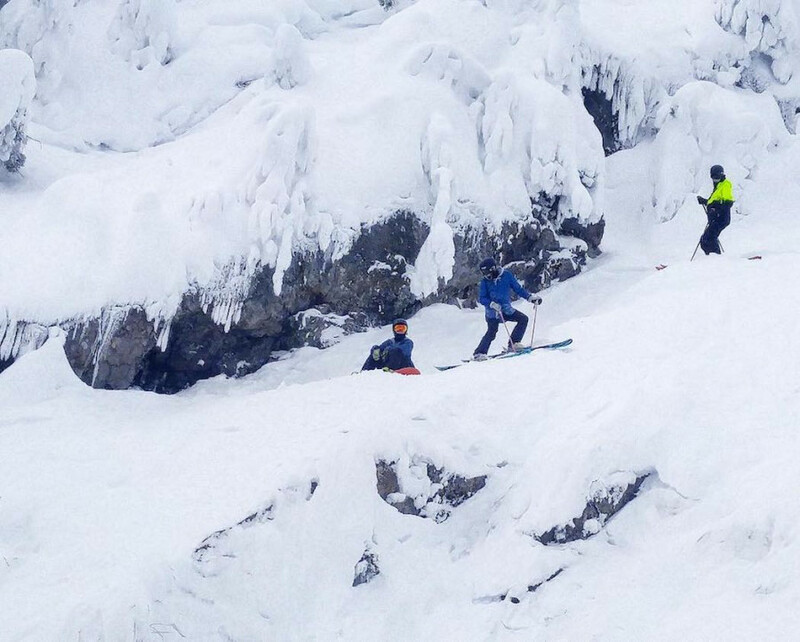 Regardless of how well someone can ski, the goal is fun for all. ‘’Everyone’s from a different background, and that’s what makes hanging out with all these different people so great,’’ added Sourbeer. Life as a university student is rough. The relief that the club can offer from that stress is something they hope will attract students, especially during the winter. ‘’Sometimes all you have to do is be outside and have a blast with people, even strangers. The happiness of being on the hill is contagious,’’ said Ladd. That’s why it’s so important for them to have trips during the winter semester, to give their members literal breaths of fresh air in what can otherwise be an overwhelming period. They organize 12 to 13 trips to mountains each year, weather permitting, including such big mountains as Mont Tremblant and Sutton. Ladd said his favourite experience was their trip to La Reserve, a small mountain located in Saint-Donat-de-Montcalm, a city about 135 kilometers north of Montreal. “We basically had to mountain to ourselves, and we spent the whole day riding, it was incredible. It was so much fun seeing everyone having so much fun,” he said. But ultimately, the venue doesn’t matter. The club hopes to bring people together and keeps them coming back. ‘’It’s really the love of all this that brings people together, and that’s just a really awesome thing we’re glad to be a part of,” said Ladd.